Brazil’s World Cup was first-rate entertainment thanks to its many surprising results. For its part Breakingviews, also somewhat surprisingly, predicted that Germany would win the competition as long ago as last Christmas. Many media pundits, and some respected financial institutions such as investment bank Goldman Sachs or global accountant PricewaterhouseCoopers, also braved the World Cup prediction challenge. They deployed a dizzying variety of sporting and non-sporting criteria. The consensus was that Brazil, the host nation, would triumph. Breakingviews kept its focus on the numbers, shunning direct reference to the teams’ sporting prowess. We looked for simple demographic and financial factors that, in logic, would produce a winner. So we rated the World Cup teams according to population, participation, fan base and squad value. Why? We assumed that good soccer teams would come from populous countries with a large base of players. And that it would help if the game had produced big stars basking in the adulation of fans. A market-derived view of player quality also seemed sensible. The model got results right in 27 of the first 48 group-stage matches. It went wrong, embarrassingly, in promoting the chances of Italy, England, and Japan. But it correctly forecast 14 of the 16 second phase games, including the outright winner. Luck helped. It was fortunate that the weather in Brazil was cooler than anticipated. Pre-tournament, European teams were expected to wilt in the heat. It was lucky – for Germany and Breakingviews – that Brazil went into its semi-final without its two best players. It was also lucky that financial and demographic trends that may have elevated Germany in any World Cup came up trumps in the 2014 tournament. Still, here is proof that you can engineer your own luck by leaving sentiment and prejudice aside and working hard on a reasonably sensible set of criteria. At the very least, it gave an alternative perspective to test the judgments derived by other means. In finance, as in sport, forecasting is a dangerous game. But it is also where the greatest value lies. Sound conclusions, it seems, can be drawn from pertinent facts. But it helps to get lucky. 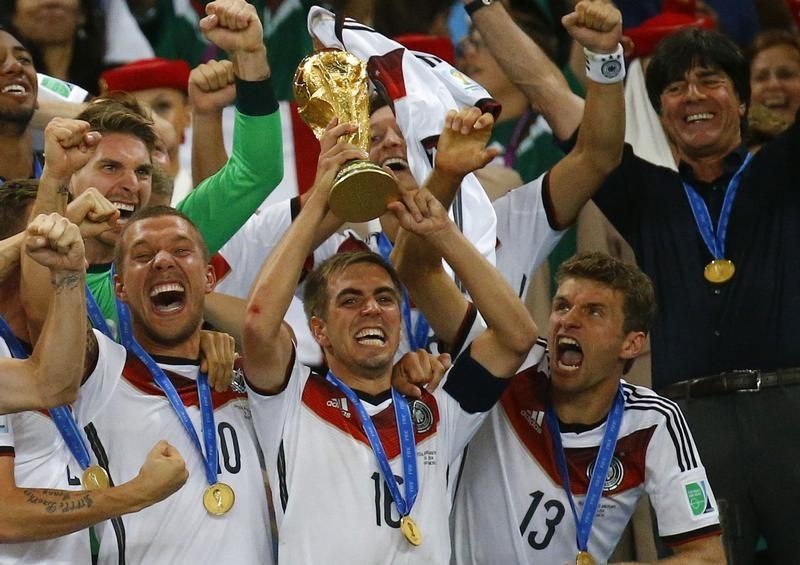 Germany defeated Argentina 1-0 after extra time in the football World Cup final on July 13.